In 2008, Yeshiva Toras Chaim of Denver partnered with local community members to meet the need for a full service Beis Medrash on Denver’s East Side. 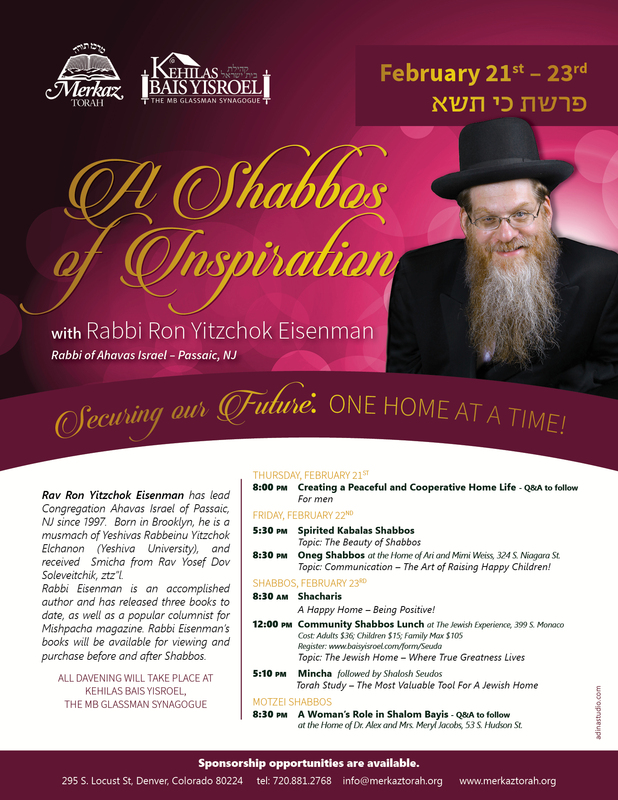 As a result of this vision, Merkaz Torah was founded as a Yeshiva affiliate, bringing an authentic yeshiva experience to the East Denver community, servicing Jews from all over the Denver metro area, under the guidance of Program Director, Rabbi Chaim Sher and Rabbinical Director, Rabbi Aver Jacobs. Starting off with just a handful of regular participants, Merkaz (as it has fondly become known) has seen its numbers swell to nearly 80 unique visitors on a weekly basis, most of whom return several times a week. Merkaz currently offers a full schedule of classes and shiurim, on a wide variety of topics, along with an authentic Beis Medresh atmosphere for individuals who wish to advance their learning skills, gain knowledge and grow as Jews. Merkaz serves as Makom Torah for the entire Denver community. It is a Beis Medresh suitable for the novice and seasoned Yeshiva-educated learner alike, to come in and join a shiur, learn B’Chavrusah or with one of our seasoned Yeshiva Talmedi Chachimim. 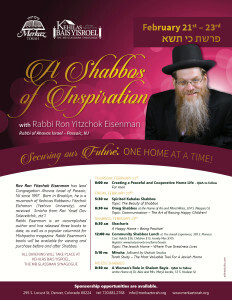 All who join will benefit from the Torah-inspired atmosphere. Merkaz programming has grown to include a learning seder every morning and evening, Sunday through Friday. 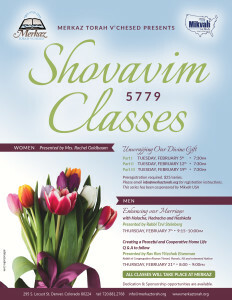 Additionally, Merkaz also offers weekly classes to women and children. We look forward to learning with you soon!